You can speak out against the governor’s budget proposal by submitting testimony to fintestimony@cga.ct.gov. Please include the bill number, S.B. 877, in the subject of the email and feel free to copy me on the email, Gale.Mastrofrancesco@housegop.ct.gov. 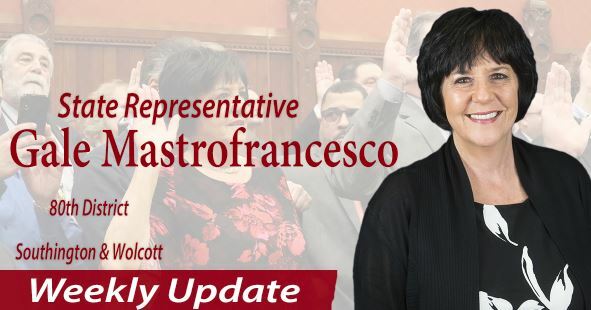 As always, feel free to contact me with questions or concerns at Gale.Mastrofrancesco@housegop.ct.gov or call 860-240-8700.